Judas Priest frontman Rob Halford shared his first public comments on the band’s failure to be inducted into the the 2018 Rock And Roll Hall Of Fame in an interview with Phoenix, AZ radio station 100.7 KSLX on December 13, and video from the session is streaming online. Eligible since 1999, the band picked up their first nomination in 2018 and Halford told KSLX’s Mark & Neanderpaul the experience was both positive and bittersweet. "Personally, I would love it, yeah,” said Halford on the day of the Rock Hall inductees announcement. “I've said it before, I think we deserve it. We've put our 10,000 hours in and more. And beyond that, we just feel that heavy metal music deserves more space on the shelf at the Rock And Roll Hall Of Fame. "We were thrilled and honored to be even nominated, but it'skind of bittersweet we got the nomination, which is something of a recognition for the work that you've done, but we didn't quite get in this time. But I'm hopeful that eventually we'll get some more metal [in there]." 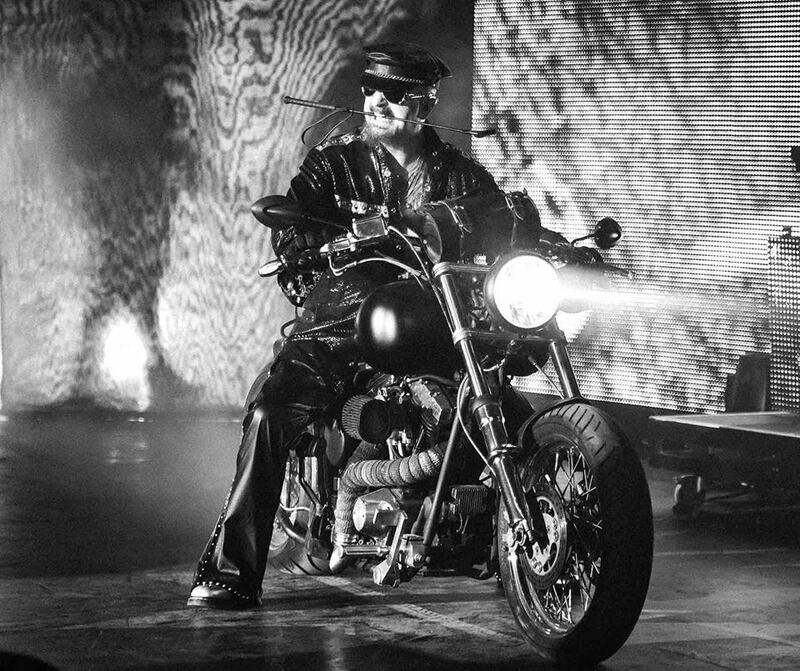 One of 19 nominees for 2018, Judas Priest were one of five acts that earned support from fans as part of the 2018 Rock Hall fan ballot. Halford was informed of the band’s failure to make the cut for the Class of 2018 by the group’s management the day before the indutees were revealed, and during his visit to KSLX, he shared the rejection letter that Priest received from Rock Hall President/CEO Greg Harris. "If you are touring or simply traveling nearby, please visit our museum in Cleveland, Ohio. Our six floors of exhibitions tell the remarkable history of rock and roll and how it changed the world. You're part of that story and we'd love to share it with you. Again, congratulations on your nomination. "My best, Greg Harris, President and CEO of the Rock And Roll Hall Of Fame." The 33rd Annual Rock and Roll Hall of Fame Induction Ceremony will take place at the Public Auditorium in Cleveland, OH on April 14 and will be broadcast by HBO in the spring. Ticket on-sale dates for the event will be announced in January. As for Judas Priest, they will release their 18th album, “Firepower”, in the spring of 2018.